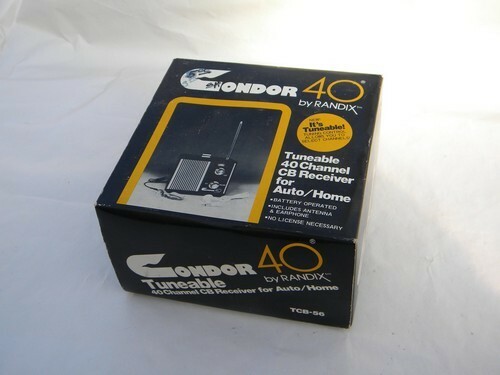 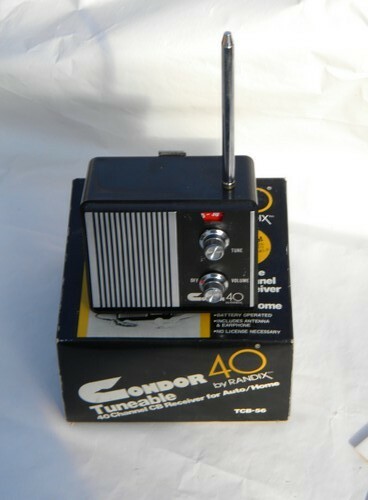 Retro 1970s vintage, "Condor 40 - by Randix - Tunable 40 channel CB receiver for Auto or Home" with the original box etc. 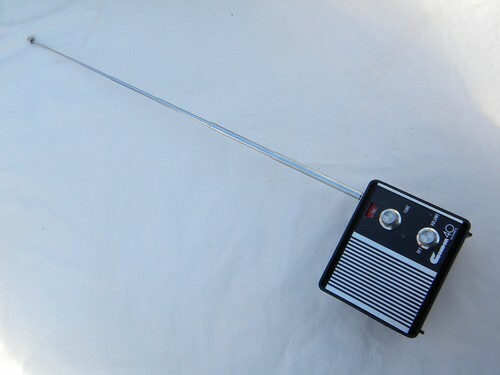 This is marked "TCB56" and also includes an earphone, a card of CB radio codes ("trucker speak") etc.. We tested this with a 9 volt battery and it works. 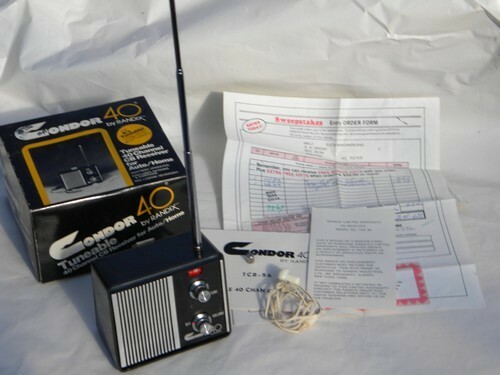 This is in very nice condition with some marking and an old price on the box.